It’s a simple fact that as we continue to pump record levels of greenhouse gas emissions into the atmosphere we are ramping up disaster risk around the globe now and for generations to come. It goes with the sobering reality of warming and rising seas and widespread changes in the Earth’s systems that are influencing storms, winds and rainfall. The toll this takes on human life, economies and government expenditures will be high on the agenda when world leaders gather in Mexico for the Global Platform for Disaster Risk Reduction in late May. Latest figures show that disasters – 90% of which are classed as climate related – now cost the world economy US$520 billion per year and push 26 million people into poverty every year. In the 22 years that have passed since COP1, the first UN conference on climate change, we have seen greenhouse gas emissions reach critically high levels which bodes ill for those who already live in dry lands, on cyclone-exposed coastlines, flood plains, below unstable hillsides or in parts of the world dependent on glacier meltwater. Over that time span we have also seen a doubling of weather and climate related disasters, which can further weaken least developed countries like Haiti which lost over 600 lives and around a third of its GDP when it was struck by Hurricane Matthew last October. By some recent estimates the bill for Haiti’s recovery from that Category 4 hurricane comes to US$2.8 billion, an extraordinary sum for a country where 60% of the population live in dire poverty. The Philippines lost thousands of its citizens partly due to the slow passage of Typhoon Haiyan across the warming, rising waters of the Pacific Ocean in 2013. And again, the economic losses and the cost of building back better ran into billions. 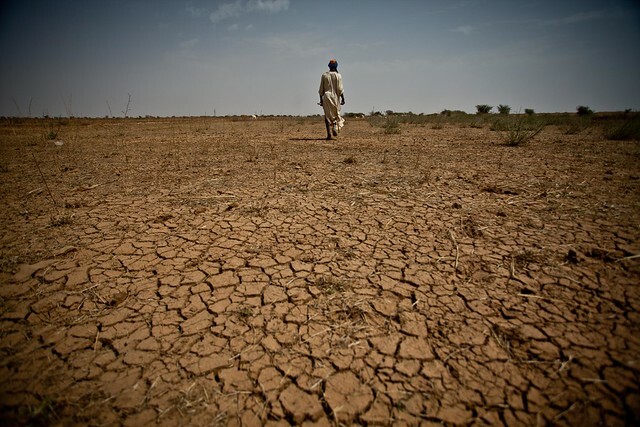 Meanwhile the drylands of the Sahel and southern Africa already at high risk from rising temperatures, breached the limits of their capacity to sustain human life adequately in the last twelve months as country after country declared a state of national emergency and millions suffered the devastation of hunger and the loss of their livelihoods. Just five years after the first famine of the 21st century was declared over, Somalia is again on the brink underlining the fact that 80% of the world’s hungry live in countries which are heavily prone to hydro-meteorological disasters. Climate change, aggravated by phenomena like El Niño, is not the only driver of disaster risk but it is the joker in the pack as the world tries to understand how it combines with other key risk factors such as poor risk governance, rapid and unplanned urbanisation, poverty and environmental degradation. Much of this understanding and better planning needs to be done now and at the local level. 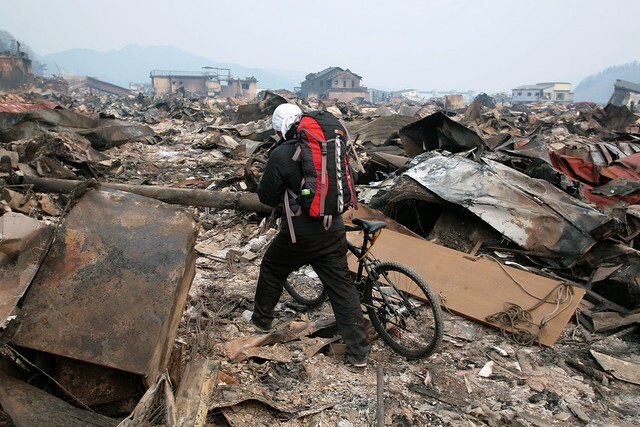 Adopting the Sendai Framework for Disaster Risk Reduction two years ago, UN Member States agreed to substantially increase the number of national and local disaster risk reduction strategies in place by 2020. These strategies will be the bedrock for decreasing disaster losses by 2030 through reducing mortality, economic losses and damage to critical infrastructure. It is imperative that we break down any silos that exist between the exponents of disaster risk reduction whose remit extends beyond climate-related hazards, and those whose focus is on climate action. As these national and local plans are put in place there is an opportunity to ensure joined up action across the 2030 Sustainable Development Agenda including the Paris Climate Change Agreement, and an obligation also to avoid duplication of effort. The achievement of many of the Sustainable Development Goals including those related to poverty, hunger, climate action, sanitation and clean water depend on this. Both of us recognise that reducing greenhouse gas emissions and keeping global temperature well below 2 degrees C is the greatest long-term contribution that governments, local governments and the private sector can make to disaster risk reduction. Meanwhile local planning for improved disaster risk management helps create a grass-roots, societal demand for action and ever rising ambition nationally and globally for climate action above and beyond existing pledges. The outcome of this fifth Global Platform has the potential to bring the worlds of disaster risk and climate risk closer together and that can only be a good thing for resilience; people everywhere and the future stability of our world. While it is the poor and the vulnerable who are in the firing line now, no country or continent will be immune if we don’t take responsibility and seize the opportunity to act today. Article by Robert Glasser and Patricia Espinosa. Robert Glasser is the UN Secretary-General’s Special Representative for Disaster Risk Reduction and Patricia Espinosa it the Executive Secretary of the UN Framework Convention on Climate Change.